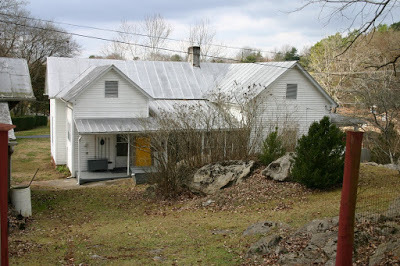 In my previous Permanent Fixes Blog I posted a couple of times during the financial crisis about this family relic, using it as an example of the result of a government stimulus program that worked. This is a combining and updating of those posts at a time when stimulus is the least of our needs. The WPA was a 1930’s depression era jobs program that employed up to 8 million unskilled people, allocating jobs on the basis of one per family suffering from long term unemployment and a maximum of 30 hours per week per job at prevailing unskilled labor wages. One thing that made the WPA possible was that so much that needed to be done in the 1930’s could be done largely with manual labor. Spending was significant, initially about 6% of GDP, but federal debt was low at about 20% of GDP, and there were no federal transfer programs such as Food Stamps, Section 8 Housing, Social Security, Disability, home mortgage subsidies, stimulus checks, etc. This would not have worked in the years following the 2008 crisis. Who is going to choose to travel and camp out and do manual labor at minimum wage over all those options? 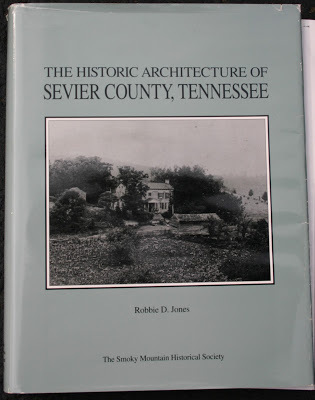 Over one hundred outhouses were documented during the survey. This increasingly uncommon outbuilding, usually located to the rear of dwellings, was recorded on every type and size of farmstead. 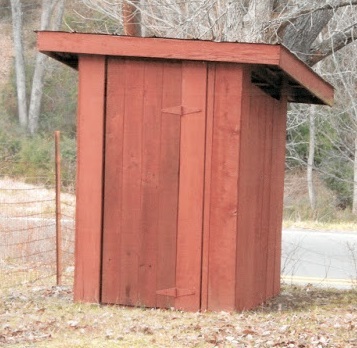 An outhouse in Sevierville’s historic residential district even exhibits a pressed tin roof matching the main ca. 1910 dwelling. During the Great Depression, the Works Progress Administration (WPA) built new outhouses for farmsteads throughout the county, and many of those well-constructed outhouses remain. 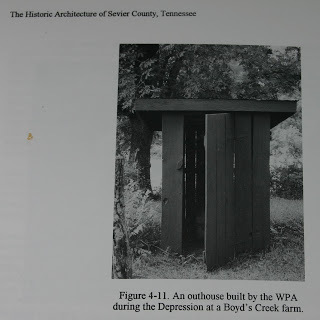 A good example is the WPA outhouse on the Shelley-Parton farmstead in Boyd’s Creek which is well maintained and painted red (Figure 4-11). I have many happy memories of boyhood experiences with Granny and Granddaddy Shelley on the “Shelley-Parton Farmstead in Boyd’s Creek.” I didn’t learn any business there, but just a little about family farming, gardening, watching out for aggressive cows, pond fishing, rat trapping, chicken scalding and picking, butter and kraut making, and mail carrying. Granddaddy was a rural mail carrier and Granny was a Postmistress. In this photo of their back yard, the historic outhouse is just barely out of view on the little hill behind the house and to the right. Well, we don’t need stimulus right now, but improved infrastructure would help. Would this count as an infrastructure project? Previous Post Happy New Year. It’s Infrastructure Time!